Thank you for stopping by my blog! I am happy you have decided to spend some time here and I hope you find content of value and meaning. My name is Ponya M. Bishop. I was born and raised in Detroit, Michigan. I am a graduate of the University of Detroit-Mercy with a Bachelor of Science in Marketing. Afterwards, I also obtain a Legal Assistant Certificate from the University of Detroit-Mercy. I spent thirteen years working in advertising and marketing, specializing in print media buying. Later I transitioned to a career in the title insurance and mortgage industry, working in title abstract, title examination and title clearance. 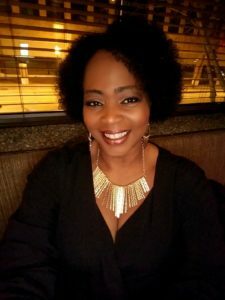 My business knowledge allowed me to transition into the career I now have as a Business Analyst in technology with America’s largest mortgage lender, Quicken Loans. I love what I do!! I am also a photographer!! I’ve always had a love of photography. I remember being a little girl and saving my $1 a week allowance to buy my first camera – a Kodak Ektralite 10. From there I moved up to a Canon point & shoot camera. In 2001, I bought my entry level Nikon SLR. After several years of experimenting with advance point & shoot digital cameras, I finally moved into the digital SLR world. My craft is ever evolving and I am always striving to learn and further advance my skills. My passion for photography extends to the images I capture. In each shot, my goal is to invoke the emotion of the moment. I want you to feel as if you have been transported back to the very instant the photo was made. I capture life as it happens! To view samples of my work, click on the portfolio tab. I am available for portraits, engagements, small weddings, parties and events. For information on availability and rates, email me via the Contact Me page. Also visit my photography page www.ponyabishopphotography.com!! I am the daughter of Zebedee and Madora Bishop. My father was a prominent minister in the Churches of Christ, both locally in the City of Detroit as well as being know throughout the United States before his retirement. My mother was known for being a woman of class and grace. She kept an immaculate home and was also an entrepreneur, running a successful and profitable Avon business for many years while also serving as an Assistant District Manager for Avon. It is their guidance that developed me into the woman that I am today. This site began as a personal blog, morphed into a business site for my photography, but is now once again a space where I hope to showcase those things that bring me joy, share what inspires me, and hopefully inspire others to pursue their dream. I am living my best life everyday, moment by moment. My prayer is that you do the same.